This month has already been really busy, I have hardly had chance to settle into the house I’m staying in in Kendal at all. Sometimes I wish it was a bit less hectic, but so far everything I have done this month has been brilliant. 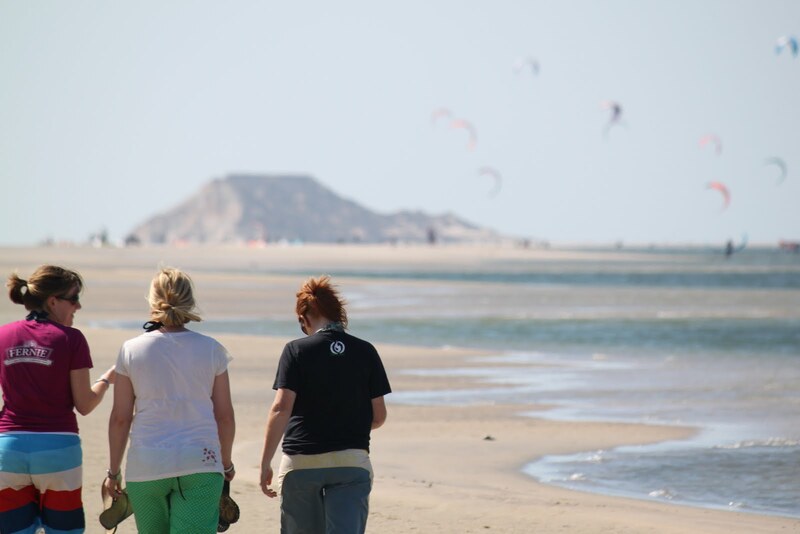 I headed off to Morocco with my girlfriend and her sisters for an intro week of Kite surfing. It was a sport I’d fancied having a go at for a while, so with Maz wanting to go, her sister Mel being really good and Selena fancying trying to master the skill it seemed like it would be a brilliant week, along with the prospect of some lovely November sunshine. Almost looking like I know what I am doing! Kite surfing is a tough sport, get it wrong and you are drinking half the ocean as the kite drags you through the water, but get it right and it’s a real thrill as you zoom across the water at fast speed. Mel showing us how it should be done. 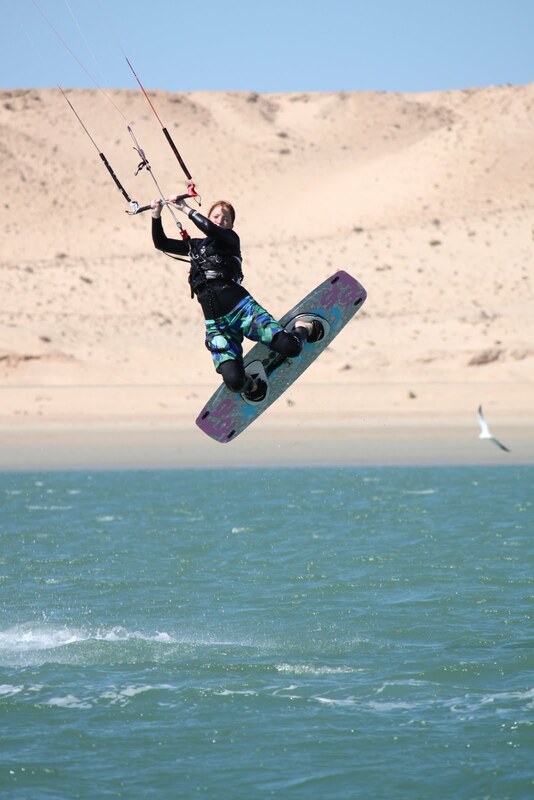 We stayed in an amazing centre near Dhakla, and along with kite surfing we got some normal surfing in on the days when the wind wasn’t out to play. 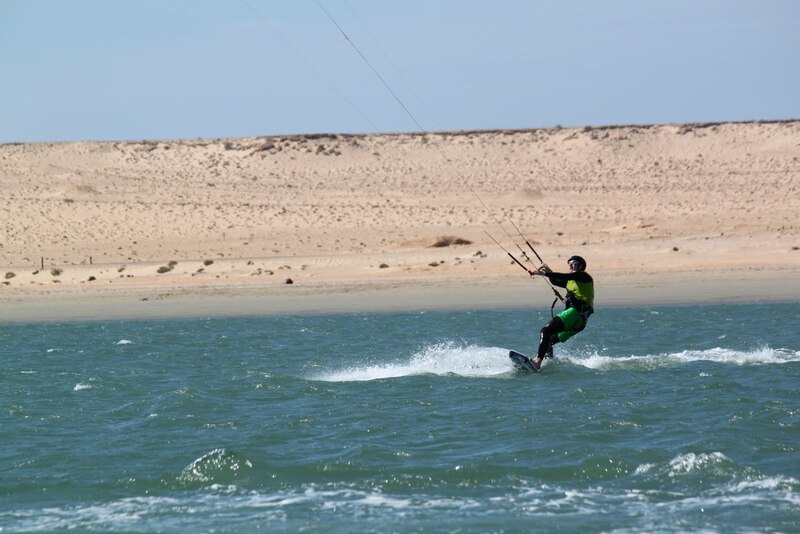 At the end of the week I think I am able to say that I can kite surf, but it will be a while before I am able to do any form of tricks! 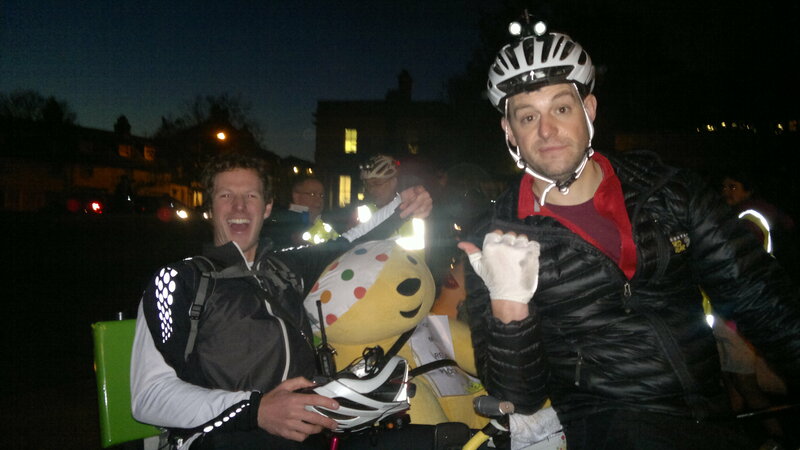 I arrived back home, and the next day managed to land a great bit of work for Across the Divide, working as the lead cyclist on the Matt Baker Rickshaw ride from Edinburgh to London in aid of Children in Need. But before I could join the team I was the guest speaker at my old school’s Senior Prize giving, presenting all the awards, and then giving a short talk on what I spend my time doing. It was a great evening, catching up with my old teachers, and I love showing all my pictures to new audiences, it really makes it sink in to me just how much fun I have doing the races that I do. As soon as it was over though I raced north to Edinburgh, to get set for the next event which would start only a few hours after I got to bed. Matt (former Blue Peter presenter and BBC One Show/countryfile presenter) was cycling an 80kg rickshaw over 8 days down the country, giving people lifts along the way, and raising over £1.3million pounds in the process. It was an amazing journey, the crowds that lined the streets of every town and village we passed were truly amazing, and really did shock us all. Matt was blown away by people’s generosity, and it couldn’t help but raise a smile about society after all the negative things you hear in the press and on TV about the state the world is in. I was cycling alongside Matt, keeping him fed and watered, and mentally on track to make it to the end. The experience I have gained from my many expedition adventure races was invaluable, and I was able to guide him through the process I have been through so many times, to ensure he came out the other side in the right place. Sadly I wasn’t able to ride all the way to London with him, and I was really gutted about this. Not only had I enjoyed the ride, but I had formed a good friendship with Matt, so it was sad that I wasn’t able to help him on the last day to finish off his epic ride. The reason I couldn’t be there though was that I was presenting, along with Ant Emmet, The Epic Tri Film at the Kendal Mountain Festival. 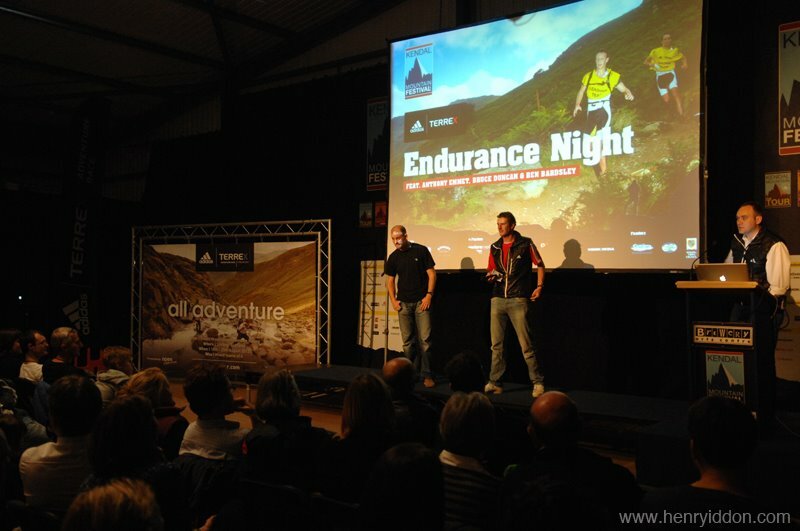 adidasTERREX were sponsoring the new Endurance night, which featured Tom Gibbs, Ben Bardsley and a few short films from Kilian Jornet along with the first ever screening of the Epic Tri film that Dave Macfarlane had made. There is talk of making the film a downloadable affair with the cost of downloading going towards Cancer Research UK, I’ll keep you updated when I know what is happening. We would also like to get the film out to a wider audience, so will send it to more film festivals, and if anyone knows where else it could be seen, do get in touch. After a hectic start to the month, hopefully now its all a bit calmer, and I can get my training going with a bit more of a routine. Today I have to cycle to get my car which is in Scotch Corner, as I left it there during the event last week. The weather isn’t quite what I was hoping, but still should be a good day out. I need to get miles in on the bike though as at the start of December I am off to Aviemore for a weekend with 20 very fit mountain bikers for a full on weekend of biking, so hope I can keep up with my lack of mountain biking this year. Time to get the bike shorts on again and get out along the dales. It might be at some point, Dave is just working out what to do with it, Might be at a cost towards our charity. Hope you are well.